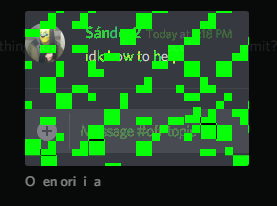 Is anyone else's discord glitching out? I think it was my HDMI. I re-plugged it and things seem better, so I'll keep this open for now if it happens again. 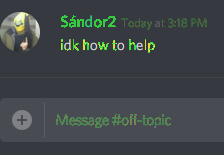 chrome (and therefore discord) sometimes does that when your gpu drivers crash, or with an unstable memory clock.